Peonies and Polaroids tagged me, and she made some new rules. (Which I love.) This time, I have to share four things about my beau. 1. He grew up in Houston. The night we met I programmed "H-town" into my phone for him, and I've never changed it. 2. H-town has a carefully curated t-shirt collection (half vintage, half indie). He pretty much wears a t-shirt every day. 3. When he's finishing a big project, he can last for days on just a few hours of sleep. (I can't.) Then he crashes and sleeps for 14 hours. Now. Please give us some dirt on Mr. Nibs, Mr. c(oi)n:purse, Mr. Hitched! and That Groom. Thanks for playing! 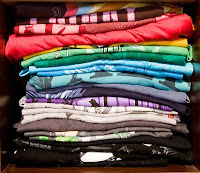 The Boy has a huge collection of t shirts. He pretty much lives in them. Hence the difficulty in finding him some wedding clothes he's comfortable in. I vetoed a t shirt wedding pretty early on! H-town actually knew the exact Jil Sander suit he wanted and I managed to find it used. I got all fluttery seeing him in it. Yeah, I got all excited seeing The Boy in a shirt and smart trousers! Seeing him in his work suit for the first time just disturbed me slightly though! I can't believe you managed to find the right suit in the right size! I've never managed to find anything like that! I love that! It's so cool to hear of groom with an actual (gasp) opinion! And a bride who lets him have one! Thanks for the tag! My reply is going up this morning.